The recent issue of UCLA’s Asia Pacific Arts Magazine has a timely new feature on: 'Social Change in Asian film'. As the authors themselves admitted, it was an editorial inspired by the latest presidential election. Supplying its own theatrical displays, dramatic narratives and weeping electorate, the Democrats campaign and eventual victory epitomized politics as spectacle. Thrusting the promise of “change,” it was certainly politics with the texture of cinema. 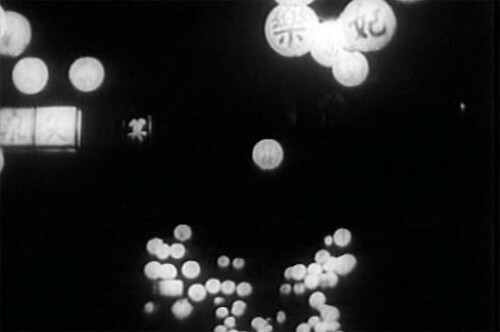 Change in politics and social life has been reflected in film from the earliest days of cinema. And it is by pure thematic coincidence that I have recently been re-watching and discovering more classics of the 1930s Chinese leftist film movement (Zuoyi dianying yundong). Its status as a truly unique movement in film history should be given its due. Much like the messianic mantra of the campaigning Democrats, this cinematic movement advocated the possibility of change. It exemplified the necessity of action and promoted, indeed and by deeds, a militancy to overcome legacies of institutional injustices. Of course, that is not to dismiss the presence of aporia within its own cine-political discourse. Like the Soviet avant-garde, an acknowledged influence, there was no singular manifesto from which the movement all recited (recall Eisenstein’s rows with Vertov and Malevich’s Suprematism with everyone else). Instead and similarly, the movement was an umbrella term, signifying the discursive climate – simmering with the zeal to articulate what, why and how to change the world for the better. This Chinese leftist film movement or canon shall be what this brief article will attempt to revisit. It is no wonder then that Sun Yu’s The Big Road aka The Highway (1934) [viewable in its entirety here] topped APA’s featured list. The film captures this climate of the utopia-before-the-arrival-of-the-utopia at its most celebratory. And is in-itself, a textbook example on how to sublimate the libidinal into the political. The Big Road combines a tale of swooning romance with radical revolution. In the famous – and barely subliminal – riverside sequence, the six male protagonists emerge from a stream naked under the gaze of the two female leads (Li Lili, one of the period’s biggest stars as one), only to feast on two watermelons in no less than a ménage à huit. Its worth noting that pogua (in Chinese, literally ‘breaking the melon’), has the same connotation in Chinese as “losing one’s cherry” does in English. And though it may seem naïve by contemporary standards, I nonetheless stand by its ability to cut to the essential (hard)core of politics at its most sober. Or as Chris Berry put it in his reading of the film, the imperative ‘to arouse revolutionary ardour in its audience by the arousal of libidinal drives and their redirection towards the object of revolution.’  However crude, it still remains as pertinent as ever. If we take Obama’s rhetoric literally, we should expect not a fresh restart of the political game, but as Larval Subjects made clear: a change of games in their entirety. The Democrats victory should signify nothing short of revolution. At face value, Obama’s rhetoric has something akin to early Mao, at least when speaking of their enemies. Consider the similarities: at the peak of his idealism Mao famously declared that ‘Communism is not love...Communism is a hammer that we use to crush our enemy.’ Fresh from victory, did not Obama announce belligerently to his “enemies” that he would “defeat them” wherever they may be? This reminds us that, proving one’s love for their nation often requires affirming the willingness to commit violence to its symptoms. And also that these politics of jouissance remain true under most regimes be it high communist or neoliberal capitalist. This libidinal theme finds plenty of echoes in the leftist movement’s cinema. And there was no shortage of real life enemies to receive the audience’s aroused death drive. These included a threat of the defeated pro-imperialists return; the dubiousness of the Kuomingtang Nationalist government, whom officially suppressed anti-Japanese sentiment, (cf. Ang Lee’s Lust, Caution (2007); also the invading Japanese forces themselves, who had already occupied three northeastern provinces by 1931. And within the domain of domestic life, social antagonisms in the form of class and gender injustices were reviled publically on-screen. These were genuine social ills and the leftist movement were no bystanders to the situation; urgent change proposed in their cinema delivered what authentically was the audacity of action. 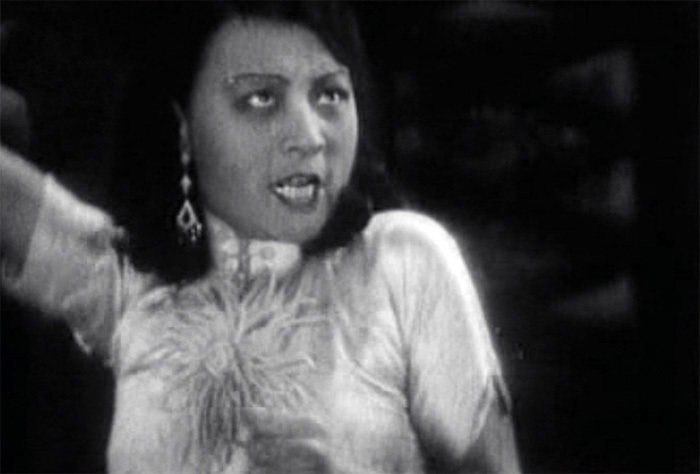 Perhaps the most beautifully rendered and famous domestic example is Wu Yonggang’s The Goddess (1934) [in full]. Although Wu’s classic is best known, others such as Little Toys (1933), City Nights (1933) and New Woman (1934) demand equal attention. The lyrical touch of its mise en scène, in addition to Ruan Lingyu’s performance at her most charismatic height, belies the wrenching power of its moralism. Its genius also resides in the weighted editing, allowing its longer takes to become sonorous; flattering moments of intimacy and private joy, or, amplifying cues for blood-baiting outrage. This melodramatic efficacy, in my own estimation, was not to be seen again in any other cinema until the arrival of Douglas Sirk. One reason I find enjoyment in watching leftist movement cinema relates to the matter of legacy or haunting. Locating traces or anomalies left behind by the leftist movement within the assemblage of Chinese cinemas has become something of a quest. But of course, this is a way of engaging with any regional (or transcultural) cinema history. 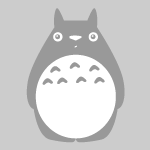 Here is a micro-sample of what engaged my attention. Foremost, there is the legacy of femininity and its juxtapositional allegory with the nation. Established by the leftist movement, this in Chinese cinemas has proven to be a profoundly enduring meme. 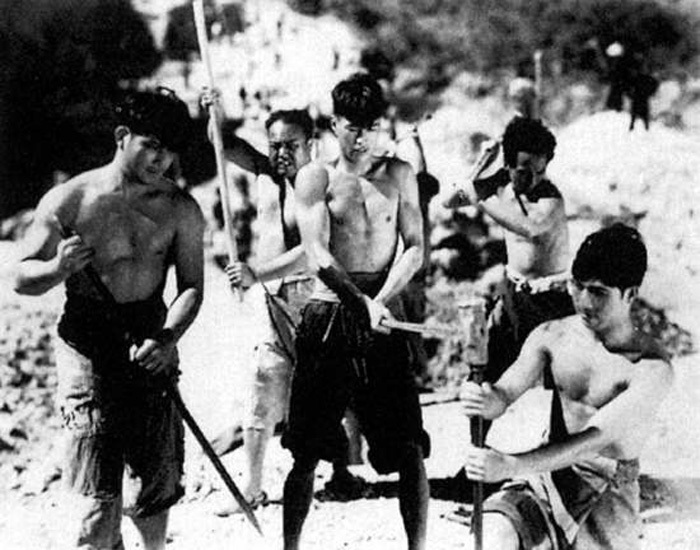 It functioned as a precursor to an exhaustive number of future Chinese films. But what is interesting, particularly to readers of historical gender discourse, is how masculinity exercised empowerment by smuggling itself onto feminine vehicles. 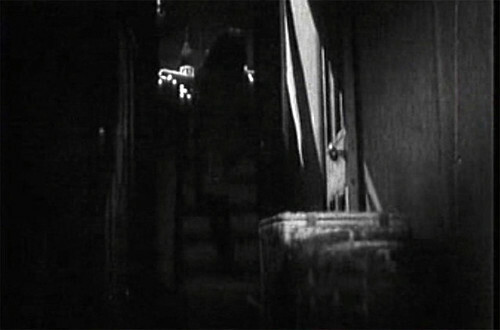 To say that the thirties leftist film movement was dominated by women’s liberation themes would not be an exaggeration. During the movement’s first two years, this solitary theme accounted for no less than half of all films made. But perhaps what is most striking about this majority is the total absence of female filmmakers. As an industry, it was entirely populated by men obsessed with women’s stories, left-wing or otherwise. Women played no other part, in their duties to the industry other than in their on-screen roles. One could say then, male leftists believed that to liberate women was to liberate all. But another interesting dimension of this allegory lies in the equation of the feminine body and the city, the nation or the psycho-spatial. It is a design that fires the semanticity of a “motherland.” Obviously, the city in question was the perennially modernist hub of Shanghai. In light of the regularity of its usage throughout the leftist movement’s canon, it is hard not to overstate Shanghai’s nodal fixity as the generic urban. 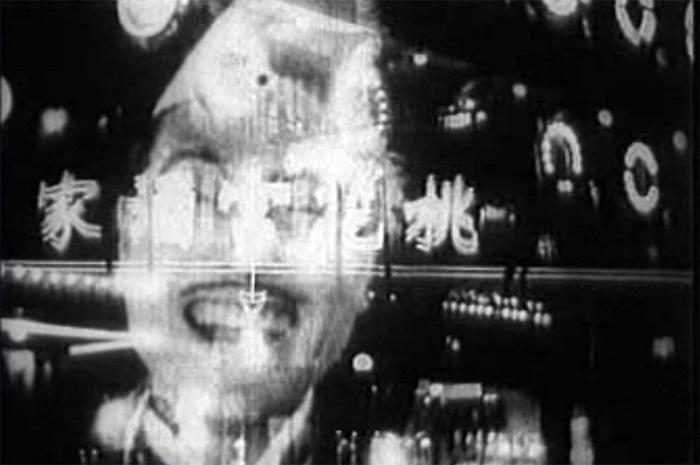 A quick look at the titles illustrates this point: City Nights (He Mengfu, 1934), Early Morning in the Metropolis (Cai Chusheng, 1933), Old and New Shanghai (Hong Shen, 1936) as well as Yuan Muzhi’s urban double bill Scenes of City Life (1935) and Street Angel (1937) to name just a few. Two general reasons for this association are found in the wartime reality of the movement’s own siege in Shanghai. The first is logistical, since established networks of distribution and exhibition had been disrupted by colonial occupation in the northeast provinces. The second was more conceptual. Marooned in Shanghai, local film culture was de facto obliged to reinvent itself, and did so under the influence of a jazz-age wave of commercialism. This was an unbearable development for the initially uninvolved leftist intellectuals, and was consequently the final straw for their passivity; urging them to engage with film directly (ie. teaching themselves film production, birthing polemical film journals etc). The national cinema had embraced too much decadent and bourgeois culture for the leftists’ liking. And with Shanghai swallowed whole through the jaws of moral corruption, the leftist filmmaker movement was conceived to push forward a new cinema and new ethic. Thus, it was this militant ethical eruption that transferred itself to the alluring iconographies of Ruan Lingyu or Li Lili. Both of whom played the archetypical roles of prostitutes or trinket adorned fallen woman, and were also responsible for personifying qua gender objectivization the notion of a fallen city. This enduring trope remains traceable throughout the post-1949 socialist realist period (even after the powers that be had discredited their origins), onto the revolution after the cultural revolution, the supposedly anti-ideological cinema that Gong Li so often provided the face for. This schema continues to haunt Hong Kong too. A son of Shanghai himself, Wong Kar Wai has been more responsible than most, with the help of Maggie Cheung of course, for the re-popularization of this era of film. However, it would be fair to consider them more a romanticization of Wong’s childhood ghosts – shed of all its political origins. But perhaps the most potent recent spectre of this spatio-feminine anthropomorphism was Li Yu’s Lost in Beijing (2007), commandeering the body of Fan Bingbing. The film affirms the fact that none of this strategy’s critical capacity or sublime affect (cf. the stunning montage sequence set to Portishead’s Undenied) has worn-out through time. One last comparison can be made between the leftist movement and the President-elect. It seems that they shared an understanding of authority without power. For all their ideological propositions the movement was a populist one, they legitimized the support of the masses by appealing to a sense of moral superiority. This is the authority of the powerless, or what the veteran Beijing rocker Cui Jian called: "The power of the powerless." These were precisely the grounds on which Obama enjoyed greater authority, without power, over his Republican opponents. But history has repeatedly shown that constitutional power does strange things to their wielders. Indeed to complete this comparison, the fate of the leftist movement’s own key figures was a tragic one after liberation, vilified by those they themselves helped to install in so-called anti-rightist witch hunts. Although we do know that the President-elect is a fan of Michael Ritchie’s The Candidate (1972), despite having not seen its ending, we can only hope that he knows the story of the thirties leftist movement too. Thanks for the great article. More of the 1930s films have now been added to the database too, so the “related films” can be expanded today.